Because I Love You: Three Paintings for a Penny Each. Seriously. UPDATE: Sorry sweeties! I already sold out. What a magical 4 minutes that was! I love the fact that I am able to make a living as a professional seeker of sweetness, and every now and again, I like to give back. 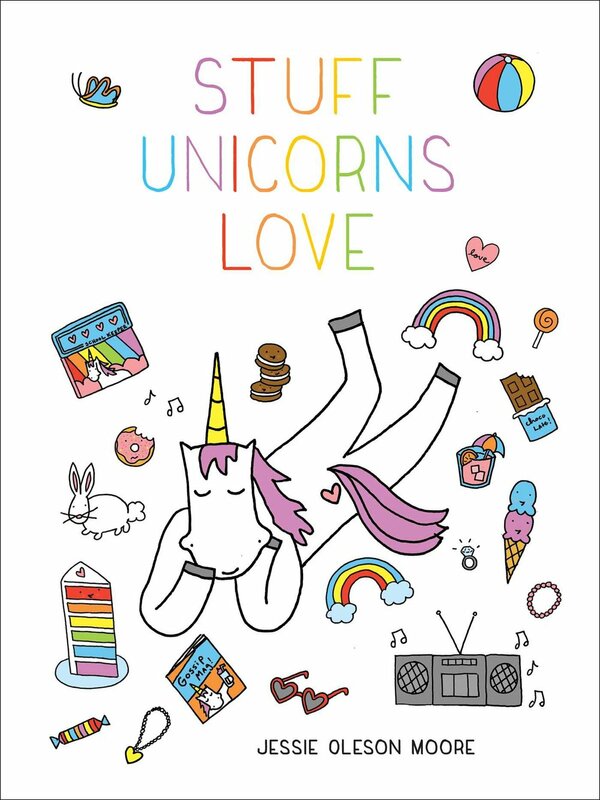 And with a big move coming up, I figured now was a great time to clean out my studio in the absolute sweetest way: by giving back to my readers. So, from now until they're gone, I am offering up THREE original paintings (you read that right - not prints, original paintings!) for ALMOST free (the online store makes me charge something, so I will charge a penny!) to the first people who are lucky enough to snag them. The only "catch" if you will? I am asking that you cover the shipping. I'll ship them priority, so it is $12 (higher for international shipping as it costs me more). *Shrug* not bad for original art, don't you think? 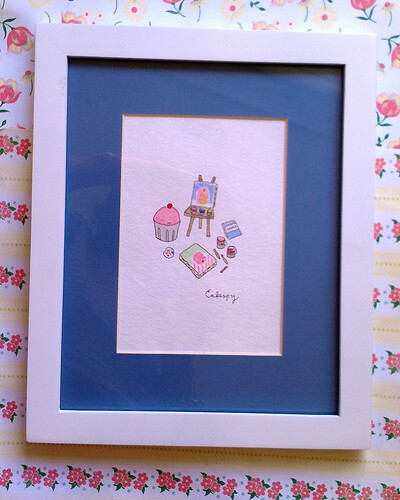 Painting 1: Framed and matted cupcake artist. 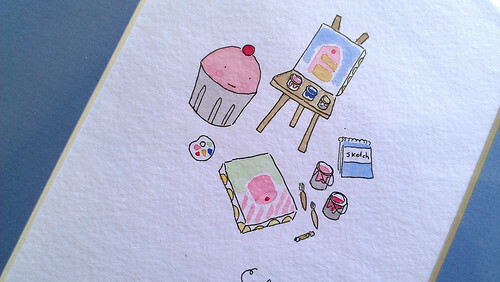 This illustration was a card design of mine, and deserves a very special home. 8x10 art within frame. 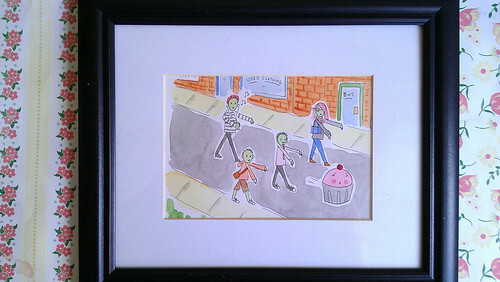 Painting 2: Framed and matted original: cupcake being menaced by hipster zombies. Now if that's not timely I don't know what is! 8x10 art within frame. 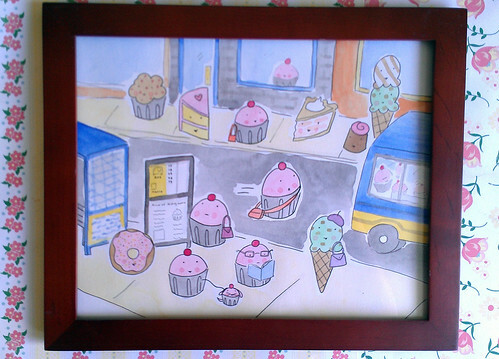 Painting 3: Framed original: Cupcakes in an urban center, waiting for the bus and going about their business. What a sweet scene! 8x10 art within frame. Act quickly because I'm pretty sure these won't last long. SORRY! SOLD OUT ALREADY! Other stuff's available, though: cakespyshop.bigcartel.com.